From cemetery transcriptions to census records, millions of genealogy resources have been posted online in recent years, making the Internet a popular first stop in researching family roots. And with good reason. No matter what you want to learn about your family tree, there is a pretty good chance you can dig up at least some of it on the Internet. It’s not quite as simple as finding a database that contains all of the information on your ancestors and downloading it, however. Ancestor hunting is actually much more exciting than that! The trick is learning how to use the myriad of tools and databases that the Internet provides to find facts and dates on your ancestors, and then going beyond that to fill in the stories of the lives they lived. While each family search is different, I often find myself following the same basic steps when beginning to research a new family tree online. As I search, I also keep a research log noting the places I’ve searched, the information I find (or didn’t find), and a source citation for each piece of information that I find. The search is fun, but less so the second time if you forget where you’ve looked and end up having to do it all over again! Since death records are usually the most recent record created for a deceased individual, they are often the easiest place to begin your search. Death records are also less restricted than most records by privacy laws. While monetary restrictions and privacy concerns mean that the majority of death records are not yet available online, many online death indexes are available through both official and volunteer sources. Try the major databases and indexes of online death records, or do a Google search for death records plus the name of the county or state in which your ancestors lived. If you’re researching American ancestors, the Social Security Death Index (SSDI) contains details of more than 77 million deaths reported to the SSA since about 1962. You can search the SSDI for free through several online sources. Details listed in the SSDI generally include the name, date of birth and death, zip code of last residence, and social security number for each listed individual. Further information can be obtained by requesting a copy of the individual’s Social Security Application. Continuing the search for death records, online cemetery transcriptions are another huge resource for information on your ancestors. Volunteers from around the world have traipsed through thousands of cemeteries, posting names, dates, and even photos. Some larger public cemeteries provide their own online index to burials. Here are a number of free cemetery search databases online which compile links to online cemetery transcriptions. RootsWeb’s country, state, and county sites are another great source for links to online cemetery transcriptions, or you can try a search for your family’s surname plus cemetery plus location in your favorite Internet search engine. Once you’ve used your personal knowledge and online death records to trace your family tree back to people who lived around the beginning of the twentieth century, census records can provide a treasure trove of information on the family. Census records in the United States, Great Britain, Canada, and many other countries are available online — some for free and some through subscription access. In the United States, for example, you can often find living and recently deceased family members listed with their parents in the 1940 federal census, the most recent census year open to the public. From there, you can trace the family back through previous censuses, often adding a generation or more to the family tree. Census takers weren’t very good at spelling and families aren’t always listed where you expect them, so you may want to try some of these search tips for census success. in the area in which my ancestor lived. 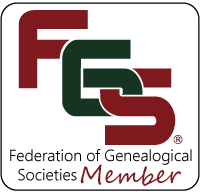 Often you can find links to these organizations through the locality-specific genealogical sites mentioned in step 5. Once there, look for a link labeled “genealogy” or “family history” to learn about the available resources for genealogical research in the area. You may find online indexes, abstracts, or other published genealogical records. Most libraries will also offer online searching of their library catalog. While most local and family history books aren’t available for online reading, many may be borrowed through interlibrary loan. Many great nuggets of family history information are exchanged and shared via message boards, groups, and mailing lists. Searching the archives of the lists and groups which pertain to your surnames and areas of interest may yield obituaries, family histories, and other pieces of the genealogy puzzle. Not all of these archived messages can be found via traditional search engines, however, necessitating manual searching of any lists of interest. 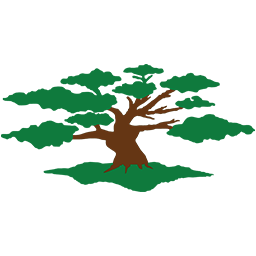 RootsWeb’s genealogy mailing lists and the Ancestry/RootsWeb mesage boards include searchable archives, as do most genealogy-related organizations using Yahoo Groups or Google Groups. Some may require you to join (free) before searching the archived messages. Hopefully, by this point, you’ve found enough names, dates, and other facts to help you distinguish your ancestors from others of the same name — making it a good time to turn to the family research already done by others. Thousands of family tree have been published online, the majority of them included in one or more of these Top 10 Pedigree databases. Be warned, however. Many online family trees are basically works in progress and may or may not be correct. Be sure to verify the validity of a family tree before incorporating it into your own family tree, and cite the source of the information in case you find conflicting data as your research progresses. Based on what you’ve learned about your ancestors, now you can search out more specialized genealogical information. Databases, histories, and other genealogical records may be found online which focus on military service, occupations, fraternal organizations, or school or church membership. By this point you’ve exhausted many of the free online genealogy resources. If you’re still having trouble finding information on your family, it may be time to tackle the pay-for-use genealogy databases. Through these sites you can access a wide variety of indexed databases and original images, ranging from the digitized WWI Draft Registration records at Ancestry.com to the birth, marriage, and death records available online from Scotland’s People. Some sites operate on a pay-per-download basis, charging only for the documents you actually view, while others require a subscription for unlimited access. Check for a free trial or free search feature before plunking down your money!